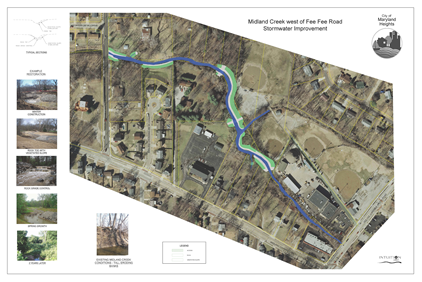 Midland Creek is a highly incised and moderately channelized, first to second order-urban stream in the City of Maryland Heights, MO. The project reach begins at Smiley Road and extends 2,700 feet upstream to Fee Fee Road. 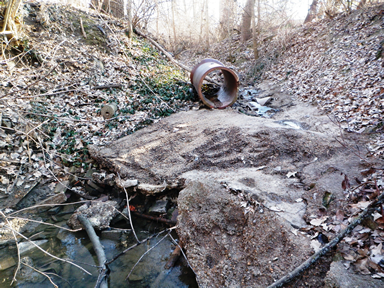 This stabilization project ties into the previously completed Intuition & Logic stabilization projects at Fee Fee Road; the upstream stabilization of Vago Park and the stabilization of the Ballfield Tributary. 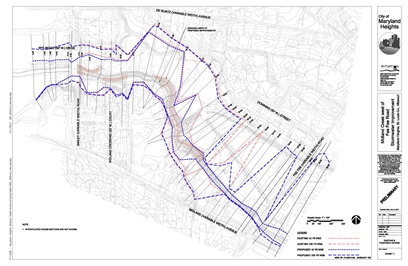 Intuition & Logic performed a Rapid Reconnaissance Channel Assessment to verify our diagnosis and recommendations from the Waterhsed Masterplan for Midland Creek were still valid. The planned work includes construction of various bank stabilization interventions and grade control structures. 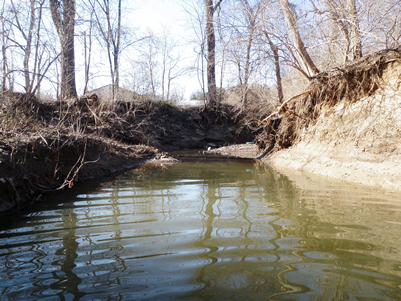 The bank stabilization interventions consist of either rock-toes and vegetated rock revetment slopes or rock-toes and vegetated fabric and waddle slopes. 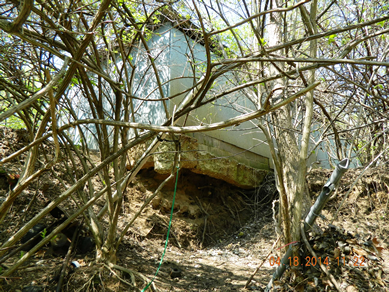 The interventions are intended to stabilize slopes in areas with infrastructure at the top of banks. Grade-control structures consist of rock stabilized step-drop riffle structures, and are intended to halt channel incision processes within the project reach. Near one of the existing ball fields, a six foot tall retaining wall at the top of the stabilized slope is used to preserve the location of the existing dugout and backstop. 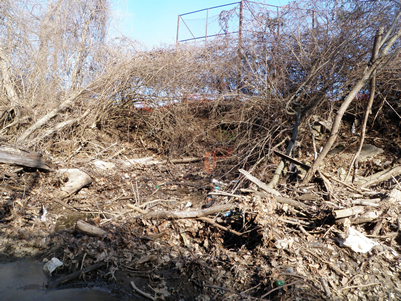 Flood modeling and analysis using HEC-RAS was critical to the design of the interventions, as well as ensuring our design met the permitting conditions for a No-Rise. We also held an open house during project development where we provided residents affected and adjacent to the project an opportunity to learn about the design and provide valuable feedback and comments, which were incorporated into the design approach. * Project finalized for construction after completion of a trunk sewer upgrade in the project area.